Call this fried calamari or salt and pepper squid, for me it is the same thing. 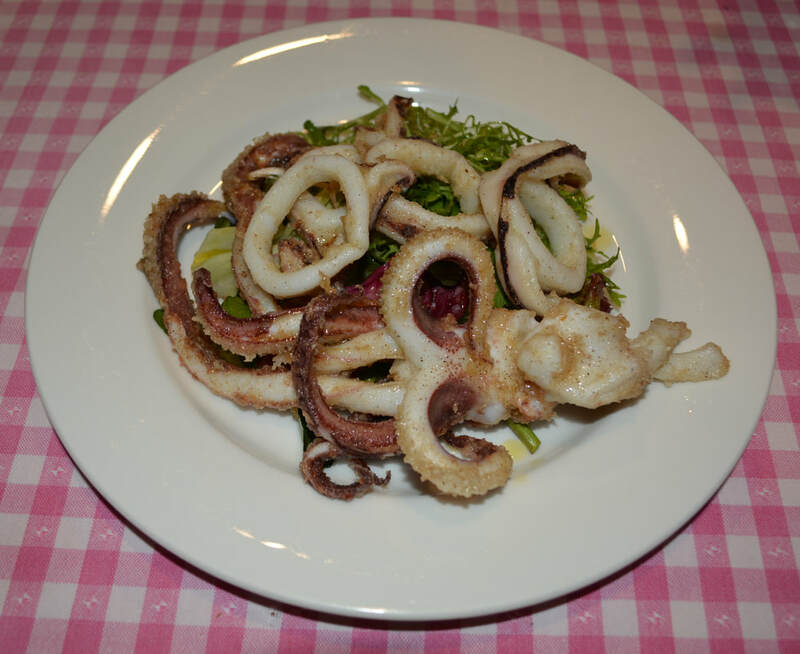 Some say calamari is the Italian term for squid, while others say they are two different species, where Calamari is supposed to be softer than squid. So in this post I will use whichever word feels right in my sentence. But you buy whichever you prefer squid or calamari or use whatever you catch, even better. This is my kids favourite way to eat calamari. Croatians do not remove the skin from squid/calamari, that to us is where the flavour really is, I'm not sure why chefs take it off, as in all honesty I don't find the skin ugly, and I really am not a fan of white pale calamari. But if you prefer them peeled, peel them. Serve fried calamari up as party finger food or with a salad for lunch or dinner, this is delicious and just needs to be made. This is simple, it is tasty and for me far better than the store bought processed one that seems to have a string in the middle that I can never actually bite through. Please do not throw out the tentacles, they are delicious fried up, I just discard the eye/beak area, but the rest can be chopped up and fried just like the rings you make. I like them left whole as pictured below, it's delicious. Simple and delicious, try it soon. 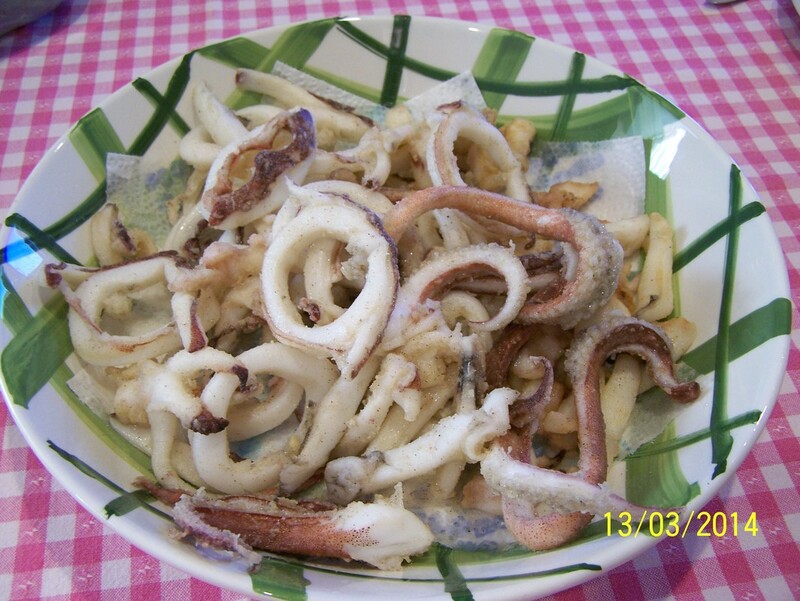 Clean the calamari: Remove innards from squid by pulling tentacles from the body, it's easy. Cut across head, underneath eyes to separate tentacles in one piece (discard innards and eyes). Push tentacles outwards, squeeze beak out and discard. You can separate the wings, but I keep them attached. You can remove skin if you like, but I don't. Remove backbone from tube, it looks like plastic, carefully scrape and discard insides. Fill a large saucepan with oil about 5-7cm high, you can use a deep fryer, if you have one. Heat to 190C. Slice the calamari hood into 1cm rings, leave the tentacles whole or slice them up, especially if large. Place the flour, salt and pepper in a bowl, mix to combine. The flour needs to taste salty and peppery, this is truly to taste. Add the calamari and toss to coat. Deep fry the calamari for about 3-4 minutes, or until golden and cooked, don't overcook them they will become rubbery. Drain on paper towels. Enjoy with a slice of lemon.